I am new to encaustics and love the quality that it produces. Encaustics is working with heated wax. 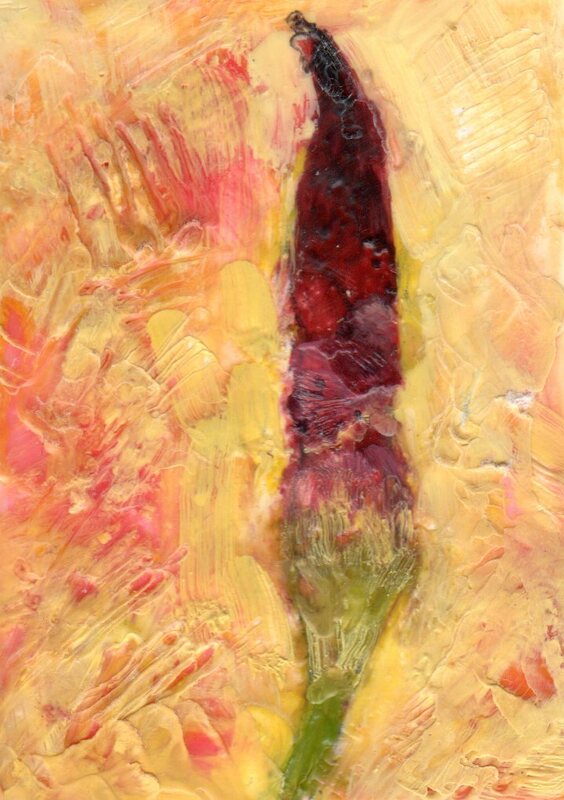 I use premixed wax colors to create this very small piece, a size of an artist trading card. The abstract quality comes in when the heat gun melts the wax to mix in with the previous layers. It adds also a textural quality that says “touch me”. I’m looking forward to producing more of these pieces.